Picking out your next vehicle can either be an exciting or stressful experience, depending on how prepared you are. Connors Chrysler Dodge Jeep Ram has created a quick and easy checklist to make sure your car buying experience is as pleasant as possible and that you end up with a vehicle you love. Learn how to make the most of your car buying experience below. Set a Budget: Nothing ruins the excitement of getting a great vehicle like realizing that you really can’t afford it. To avoid this issue from arising, take some time to review your finances and come up with a price range that works within your budget. The experts at our finance center can help if you have any issues or questions. Consider Your Lifestyle: Do you need great gas mileage for your commute? Is having the latest technology important to you? Are you in need of towing capabilities for a boat or trailer? There are multiple factors to look at to consider which vehicle best fits your lifestyle. Make a list of your non-negotiable needs when car shopping so you make sure you get a vehicle that matches your life. Consider Your Wants: In addition to the non-negotiables, make a list of your top wants in a vehicle. Anything from a sunroof, to heated seats, to a premium sound system can make the time you spend on the Valparaiso roadways more enjoyable. New vs. Used: If your needs and/or wants are out of your budget for a new vehicle, it might be worth looking at a used or Certified Pre-Owned model to see if you can find what you are looking for. Inspect Your Vehicle: Whether new or used, you want to check out the features of your vehicle to make sure they are working properly before you sign any paperwork. Make sure lights, signals, climate control, and tech features are all in working order. For used vehicles, carefully inspect the exterior for signs of damage that may have been repaired, and test all windows, doors, and the trunk. Take it for a Test Drive: Test driving a vehicle gives you a feeling for how the vehicle handles and if the seating and cabin are comfortable enough for your daily use. Preparing yourself to buy a vehicle can seem a bit daunting, but it is extremely beneficial in the long run. Sit down and go through all the tips listed above, so when you walk into our dealership you know exactly what you want, how much you can spend, and more. Whether you are interested in a new Chrysler, Dodge, Jeep, Ram vehicle, or another used model, you will find a wide selection to choose from at Connors Chrysler Dodge Jeep Ram in Chesterton. Contact us with your additional car buying questions, or to set up a test drive today! 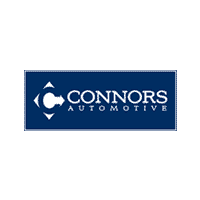 Connors Chrysler Dodge Jeep Ram	41.6075062, -87.041134.